Â I recently had one of my hotels call me about a guest who was burning incense in his guestroom, while he was staying at the hotel. After the guest checked out, he was charged the Hotelâ€™s â€œno smoking feeâ€ of $250, as the Hotel was a non smoking hotel. The guest immediately challenged the no smoking fee, and claimed he was burning the incense for â€œmedicalâ€ reasons, it was â€œaroma therapyâ€. The Hotel asked the guest for a note from his Doctor prescribing the â€œaroma therapyâ€ and guess whatâ€¦the guest produced a Doctorâ€™s note. It was a real prescription, from a real Doctor. So, that begs the questionâ€¦.does the Americanâ€™s with Disabilities Act (ADA) apply? Do you as an Innkeeper have to allow aroma therapy or medical marijuana use in your non smoking hotel? The answer is: Weâ€™re not sure yetâ€¦.. I took this question to the Hospitality Law Conference, which is held in Houston every February. The Hospitality Law Conference is attended by 400 hospitality Attorneys. These Attorneys come from all the major hotel brands, major hotel management companies and includes hospitality educators from all of the major hospitality Universities nationally. I searched out the best hospitality legal minds from our industry to discuss this issue with them. Place marijuana smokers in â€œsmoking roomsâ€ when available. If you receive a guest complaint of marijuana use in the hotel, you should investigate. If you find the marijuana smoker, ask them for their medical prescription, or State ID card, for legal medical marijuana use. If they have the proper paperwork, allow them to continue in the smoking room (if you allow smoking). If they donâ€™t have proof of the legal use of marijuana, ask them to stop, call the Police, or handle it according to your management guidelines. If you are an all â€œNo Smokingâ€ hotel, then guests using medical marijuana should be handled the same as cigarette smokers. They must leave the building to smoke. They are no different than cigarette smokers. If they smoke in their guestroom and you have the proper â€œno smokingâ€ notifications and signage, then charge them your normal smoking fee. Again, you treat them the same as a cigarette smoker. I would recommend if you have â€œno smokingâ€ signage in the rooms, that you add the words â€œthis includes medical marijuanaâ€ on the signs at your next convenience. Â *****Note****, number 2 above applies to guests who are â€œmobileâ€ and who can easily walk around, use the stairs and elevators, and have no physical restrictions. Most of the legal experts I spoke to agreed, that if a guest has limited mobility, due to a disability etc, then we should handle this guest differently. If the guest cannot easily exit and enter the hotel to smoke their medical marijuana, and they insist that the marijuana is part of their treatment for their disability, then you should allow them to smoke in their non-smoking room. Under these circumstances, the legal experts felt the disabled guest could fall under the ADA laws, due to their limited mobility etc. You should not charge them a â€œsmoking feeâ€. These suggestions are based on the opinions of the â€œbest of the bestâ€ hospitality legal experts. As you know, the medical marijuana issue is being debated, legalized and defended all over the United States. Call your local Police or Sheriff departments and find out what your local and State laws are regarding medical marijuana. You should manage the guests at your hotels according to your specific laws. Remember, you also have the right to ask a guest who is smoking marijuana to stop, unless they have a legal prescription, from a real Doctor, to be using the medical marijuana. 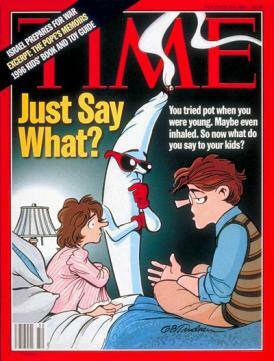 If the guest does not have the legal paperwork to smoke marijuana, you can make them stop. Call the Police or Sheriff for assistance if necessary. You can use the internet to â€œgoogleâ€ a Doctorâ€™s name or clinic, if you want to independently verify the validity of a guestâ€™s medical marijuana use. Iâ€™m sure somewhere in the United States in the near future, we will see some â€œcase lawâ€ on the use of medical marijuana, the ADA, no smoking businesses and related issues. Until then, I hope these â€œbest practicesâ€ help. Your artical is very enriching, do you know if there has been a cas law since 2010 and what was the decision taken? Before a hotel asks a person to exit the building to use their medication there are a few things to consider. Even if a person appears to be mobile and move around doesn’t mean they are not experiencing agonizing pain when they do so. Also it is illegal for a patient to use their medications in veiw of the public. They are not allowed to take their medication in their vehicles or on sidewalks. These are things to think about, try to put yourself in the patients place. Imagine that the only thing that helps you sleep or eases your pain is something that is technically illegal and an establishment you are paying to stay at tells you to do something that violates the guidelines of your medication and can cause you legal harm which is something they run the risk of everyday even with the drs. recommendation. Our Twitter account is fairly new. We are setting it up to update with the information from the blog automatically, so if you want to follow our Tweets instead, feel free! the discussion. It’s caused by the passion displayed in the post I read. 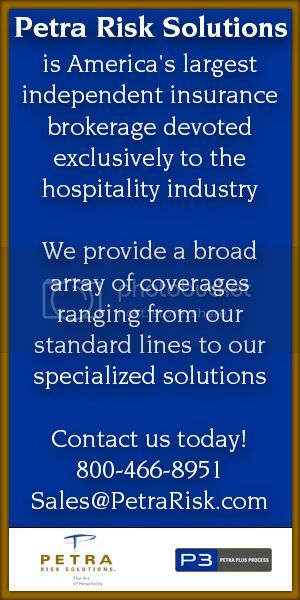 Our Facebook and Twitter are both outlets for hospitality news as well but were created for people who like to use those sources instead of WordPress. We also update our Facebook and LinkedIn from time to time with videos that we produce to update on everyone on the hotel industry. We use WordPress but we pay for a premium account and use premium themes. There is nothing wrong with the generic themes but if you want to stand out and be different, the premium themes are the way to go. the dawn, as i like to gain knowledge of more and more. sayâ€¦ I put things off a whole lot and never manage to get nearly anything done. Thank you for the support and reference! This inturdoces a pleasingly rational point of view. Thank you! My only suggestion is to stick with Firefox or Chrome. We have heard in the past that people using Internet Explorer have some issues with WordPress pages in general, so we just try and avoid using it. sure to bookmark your blog and definitely will come back at some point. Thank you for the comment! We’re here to help keep everyone up to date with the latest industry news! to several pals ans also sharing in delicious. And naturally, thanks for your effort! You’re welcome! Glad we could help! we have developed some nice methods and we are looking to exchange solutions with others, why not shoot me an email if interested. Valentines coloring sheets. More often then not, that is when parents tend to yell at their kids probably the most. amount of. It is better to find means of strengthening your relationship instead. John Shiban (Representative), Jaimie Alexander, Joey Mendicino. ¿Quién es este ? + Más de una docena de ocasiones! de administrador y luego seleccione >añadir / cambio de contraseña. Â¿QuiÃ©n es este ? + MÃ¡s de una docena de ocasiones! de administrador y luego seleccione >aÃ±adir / cambio de contraseÃ±a. My blog site is in the very same niche as yours and my visitors would really benefit from a lot of the information you present here. Of course! We are here to help pass information along and help educate as many people as we can to the risks of the industry! Do I anticipate a jail guard to well know an inmate? a lot of remarks on Hospitality Industry Legal Issues: Medical Marijuana and Non-Smoking Hotels | HOSPITALITY RISK SOLUTIONS.